Options for transport networks to support future housing and jobs on the fringes of Warkworth will be aired at a public information day at Warkworth Town Hall on Saturday 18 August between 10am and 1pm. 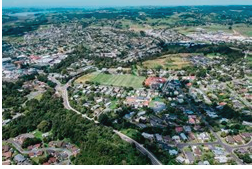 Planners from Auckland Transport and the NZ Transport Agency will be on hand to explain current thinking on transport connections that align with Auckland Council’s land use plans being developed as part of the draft Warkworth Structure Plan. Staff from the council’s planning team will be in attendance with updates on public feedback received so far on land use ideas. The same teams will also be available at the town hall on Wednesday 22 August between 3.30pm and 7.30pm. The transport team will be holding similar information days on plans for Wainui, Silverdale and Dairy Flat. For full details visit the Supporting Growth Programme website. The aim is to confirm and protect a full transport network for the north over the next five years. Feedback on transport options closes on 7 September.